Jobs, at long last, appear to be back. The U.S. economy added 304,000 jobs in January according to the Bureau of Labor Statistics. This is very good news for sure. Yet, good news that comes with a unique challenge. As the demand for workers grows, filling the talent pool becomes increasingly difficult. The talent pool challenge is amplified even more in industries and locations where demand for talent is high. A recent Entrepreneur magazine article highlighted the rapid growth in software development and sales and marketing jobs while the energy industry boom continues to drive job growth as well. Meanwhile, an Adecco infographic helps illustrate which industries are seeing the most growth. Those sectors include manufacturing, medical and science, and IT. In the manufacturing space alone, Adecco places almost 100,000 job seekers annually, many of them in manufacturing hubs in New York, Michigan and Texas. For employers, the challenge of filling open positions can be increased by three factors. – Filling jobs during industry-wide, nationwide job shortages. So what are the most effective ways to consistently fill positions in an increasingly heated war for talent? The “perfect” candidate is difficult to find, particularly in a tight job market. Decide the must-have skills and attributes for the position and then focus on hiring people who have the potential to learn and grow. Also, make sure your posted job descriptions don’t exclude qualified candidates by being too specific. 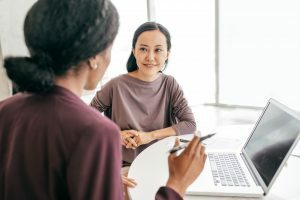 Some job seekers may not possess the exact requirements outlined in your job description, but they may have equivalent skills or training that make them an ideal fit. Create a plan to maximize hires: Develop strategies that not only attract employees, but keeps them happy as well. Create clear internal career paths, invest in employee training and continuously find ways to show employees that you value them. Work with an established recruiter: Recruiters can provide a distinct advantage when it comes to quickly filling positions with quality candidates. By having a pool of qualified candidates and industry knowledge, recruiters can screen highly qualified candidates and present them for interviews in a short timeframe. Most experts say the job market will continue “humming along” for the foreseeable future. Make sure you make the most of the good economic times by developing an actionable plan for attracting and keeping the best talent to ensure your organization grows and thrives.